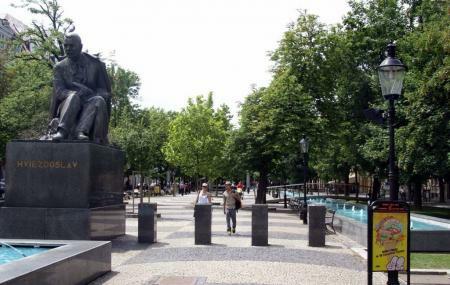 Named after Pavol Orszagh Hviezdoslav - Slovak’s popular Poet, Dramatist and a Member of the Parliament of Czechoslovak, the square is one of the most popular tourists attractions in Bratislava. The square is located close to the new bridge and the National Slovak Theater and has classic old-town architecture including cobbled pathways, historic buildings which line the square and an old-world charm that is so hard to resist. Many cultural events are held here although it is loved even on regular days for a stroll through the area. Do take a moment to see the Statue of Hans Christian Andersen when here. How popular is Hviezdoslavovo Namestie? People normally club together Napoleon's Army Soldier Statue and Schone Naci Statue while planning their visit to Hviezdoslavovo Namestie.